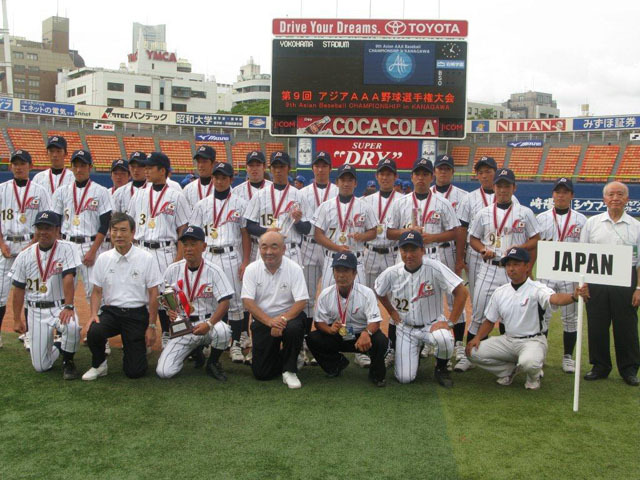 Japan defeated former Asian Champion Korea 6-1 and won the title at the 9th BFA 18U Baseball Championship for the first time since the 5th tournament in 2005. Pitcher Kentaro Yoshinaga went the full distance by allowing only one hit to Korea and was nominated as pitcher with the best ERA (0.00). Yang Hong Shen of Chinese Taipei was leading hitter with 0.611 average and Shuhei Takahashi of Japan was chosen as Most Valuable Player.